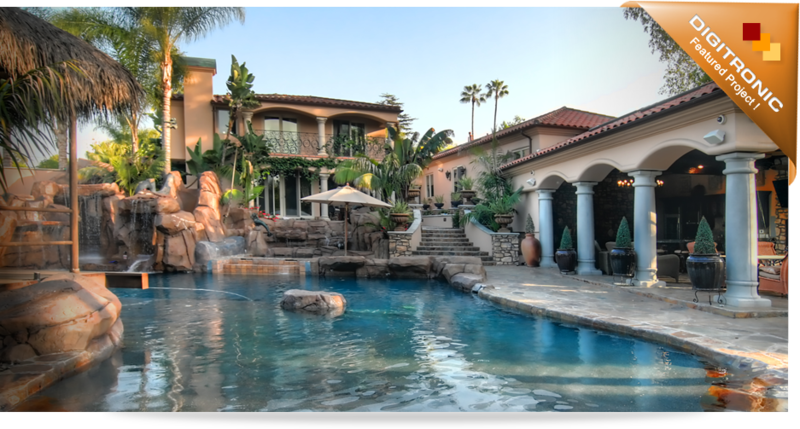 Hidden high above Hacienda, CA is a Caribbean style house with a pool landscape that is every child's dream. From water falls to a slide, this will be the talk among the kids in the neighborhood. 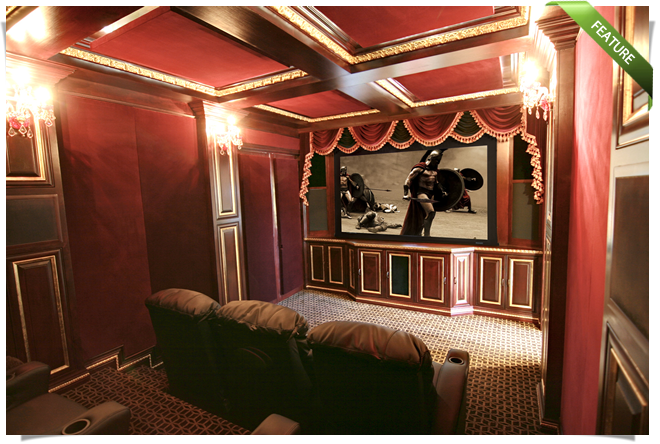 The house was completed in 2010 after 2 years of construction that included among other things a dedicated theater room, 2 media room system and a total of 8 television. 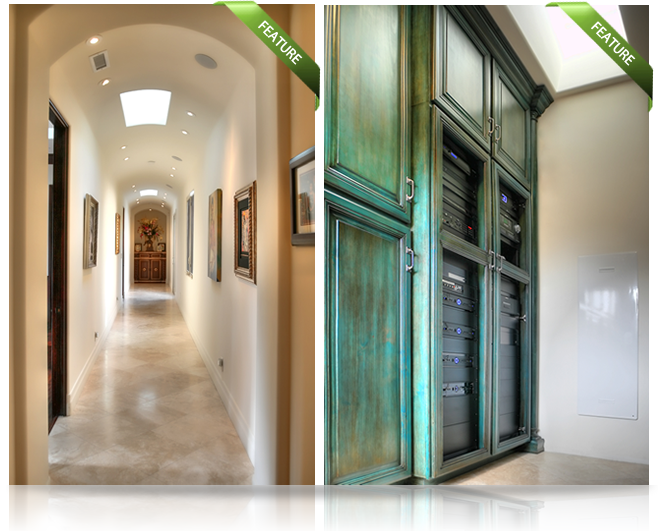 Since the project involved a large residence, multiple sub systems were integrated to make operation easy and seamless. Each TV location uses a handheld remote for all the audio and video control, and wall mounted keypads and touch panels are used to control and receive feedback from anything from music sources to pool temperature. A dedicated theater rack was installed next to the home theater with a 400 disc BluRay library for easy access to load and play discs. A Stewart Filmscreen motorized projector screen together with a Crestron lighting control system was deployed in the theater as well as a Crestron control system for easy control and navigation of all the sources which made the system a pleasure to use. Two fullsize racks were also installed in the laundry room in a central location in the home to store most of the components in the system to avoid having individual components spread out in different parts of the house.